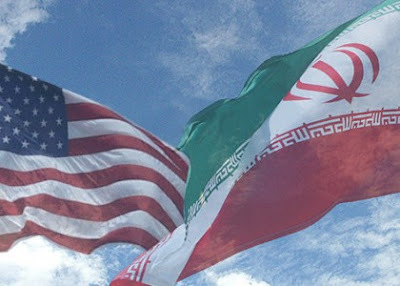 Having prised Iraq away from the United States, the Islamic Republic of Iran is now sparring with Washington over Lebanon. U.S. Assistant Secretary of State for Near Eastern Affairs Jeffrey Feltman and Iranian Vice-President Mohammad-Reza Rahimi are this week’s shadowboxing stars at the Beirut arena. “The American-Iranian race for Lebanon caused a backlog of appointments for the two countries’ representatives with senior Lebanese officials,” notes the pan-Arab and Saudi-owned daily al-Hayat today. It says Feltman and Rahimi’s exclusive meetings on the side with their respective friends and allies are outer upshots of Lebanon’s political divide. Both men met, or are about to meet, with the Lebanese president, speaker and prime minister. But their side meetings with friends and allies were much more indicative. Feltman conferred separately with Progressive Socialist Party (PSP) leader Walid Junblatt and his senior aides, Lebanese Forces leader Samir Geagea and a number of March 14 opposition parliamentarians led by Boutros Harb. All are strong critics of President Bashar al-Assad’s regime in Syria. Rahimi -- who is heading a delegation of 15 cabinet ministers, deputy ministers and ministry directors – elected instead to lay wreaths on the graves of one-time Hezbollah spiritual mentor Sayed Mohammad Hussein Fadlallah and Imad Mughniyah, Hezbollah’s topmost military commander who was assassinated in Damascus four years ago. But Beirut’s daily an-Nahar today quotes several politicians as saying Feltman is reminding them of Lebanon’s international obligations to uphold economic sanctions clamped on Syria and Iran and to extend humanitarian assistance to Syrian refugees. Rahimi, on the other hand, is reportedly urging Beirut to implement earlier agreements signed by the countries within three months. Ministerial sources told The Daily Star Lebanon does not feel obligated to adhere to any implementation timeframe for the accords. There are 16 of them covering the health, social affairs, energy, industry, agriculture, justice, and economy sectors. In his daily column for an-Nahar, Lebanese political analyst Rajeh el-Khoury says, “The hive of political activity in Beirut yesterday took us six years back to 2006, when (former U.S. secretary of state) Condoleezza Rice announced the birth of The New Middle East, triggering a response from Iran Supreme Leader Ali Khamenei that the U.S. will face defeat in Lebanon. To keep Lebanon safe and out of the way of any security breakdown in the South (bordering Israel) or North (bordering Syria). The breakdown could come in the wake of the Syrian regime’s undoing. Or, it could be instigated by Syria’s allies to export the Syrian crisis to neighboring countries. To see Lebanon apply banking sector sanctions against Iran and Syria. To have Lebanon fulfill its legal obligations by consenting and facilitating humanitarian assistance to Syrian refugees. To ensure its Lebanese allies remain in a position to channel all manner of help to its Syrian partner. That’s because the partner’s exit would dissipate 30 years of Iranian efforts to reach the shores of the Mediterranean and deal a strategic blow to Iran’s regional offshoots and influence. To bolster and expand ties with the Lebanese state, now that Hezbollah is its overseer. To help Lebanese allies win the 2013 general elections so Lebanon remains in Tehran’s camp or become its consolation prize in case it loses Syria. Hassan Haidar, writing for al-Hayat, agrees that while Iran is doing everything in its power to help the Syrian regime stay afloat “it is also bracing for the post-Assad stage” and pondering damage-limitations steps in case Assad goes under. “Rahimi’s visit to Beirut with a sizeable delegation is to try and entrap Lebanon in a web that already includes Nouri el-Malilki’s Iraq.” This probably explains why Tehran “mistakenly” sent to Beirut an accord signed with Iraq last month as a draft to be signed between Iran and Lebanon.